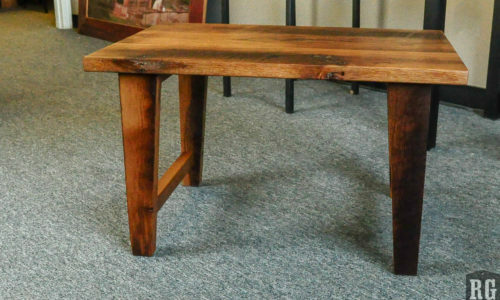 When I run my hand over the top of one of our tables I feel a surface that is both sleek and rough, even but featured. The smoothly sanded surface is broken by occasional cracks and gouges. Those marks attest to the long “life” this lumber has led. Protecting hay in the loft and beasts in their stalls, these boards have provided shelter and storage over many, many years through the heat and the cold, the wet and the dry and they proudly wear the scars. These cracks, gouges, and marks make each top we create unique. Our tops stand-out in the present day world of laminated surfaces, plywood, particle board, pressedboard, fiberboard, all manner of “manufactured” wood product created to eliminate the obstacles encountered when dealing with the uneven nature of “real” wood. As wood ages it expands and contracts as it goes through the cycles of the seasons, cycles which contort it’s fibers and cause it to bow and cup, to warp and twist, to split and crack. Manufactured wood eliminates these obstacles. In the case of plywood, layers of inferior woods are stacked-up and then that “sandwich” is covered with a thin layer of acceptably unflawed veneer. Other products are made from wood which has been milled to a uniform size and then laminated with a veneer of whatever wood the builder is trying to present. 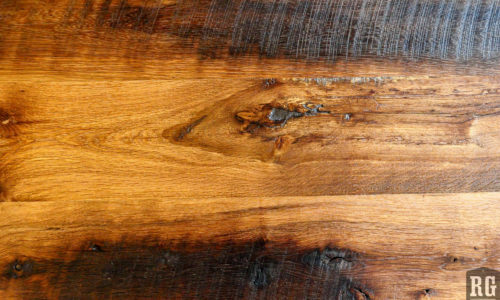 These approaches allow a manufacturer to deal with consistent, even surfaces but the resulting products lack the natural look and the feel of our vintage wood. For these and other reasons, creating furniture from natural, solid wood has always been viewed as a truly skilled craft requiring diligence and integrity. Vintage, reclaimed barnwood with its history of stresses and strains presents even more woodworking challenges requiring additional creativity and caution. 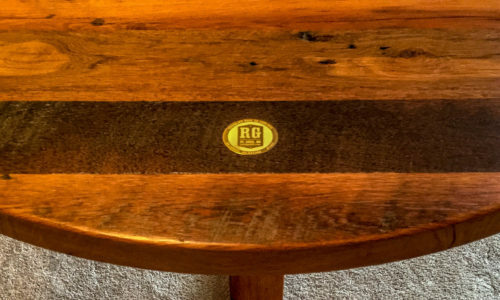 When we complete a piece at Rustic Grain we see all of that work and attention as obviously worth it. We see a piece with a past that will continue to be used for years to come. It is a living history that speaks to a tiny piece of our American story. Maybe it can be your story too.